On any other stage on Pitt’s campus, Senior Vice Chancellor Kathy Humphrey might have been the most remarkable guest to sing the blues, but Saturday night was the exception. 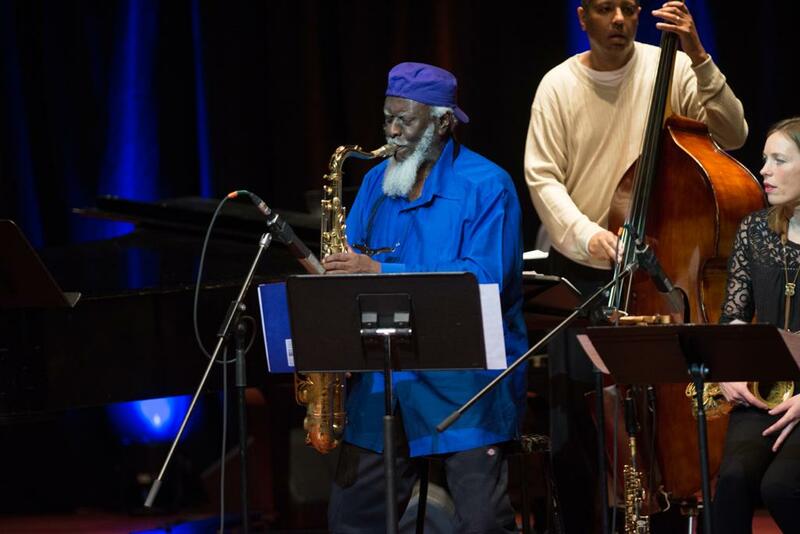 Humphrey joined a cast of legendary jazz musicians as the annual week-long jazz seminar came to a close. Former director of Pitt’s Jazz Department, Dr. Nathan Davis, first conceived the idea for the University to host a jazz seminar and concert in 1970. 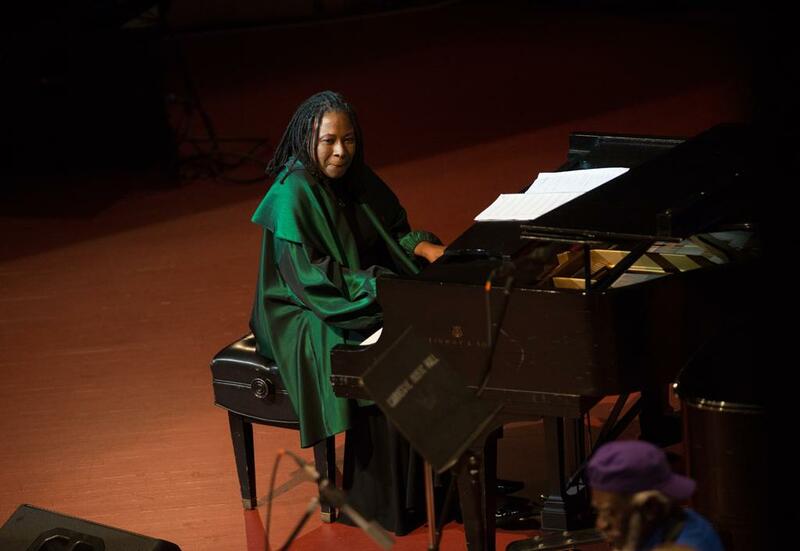 Today, Geri Allen, the current Department director, continues that legacy. Last week’s six-day event celebrated the seminars’ 45th anniversary,marking the longest running academic jazz seminar in the United States. Each year guest musicians hold free presentations and lectures throughout the week, and come together for a concert Saturday evening in front of artists, students and the Pittsburgh community. This year’s lineup of musicians included the legendary tenor saxophone player Pharoah Sanders, drummer Jimmy Cobb — who contributed to Miles Davis’ legendary “Kind of Blue” record — seven-time Grammy winner Robert Hurst and Allen herself, an accomplished jazz pianist and winner of the 2008 Guggenheim Fellowship. Fifteen separate activities throughout the week ranged from a film screening of “Mary Lou Williams: The Lady Who Swings the Band,” to artist lectures. Hurst’s “Expanding Musical Ideas through Rhythmic Variety” emphasized that musicians do not always have to create something new. “You can take the stuff you already know, and use your imagination and do some interesting things with that,” said Hurst, who Allen recruited to be one of the eight guest performers. Regarding the importance of hosting seminars like this, Hurst said, “Since we have been losing the masters of our music, [the study of jazz] has become more academic,” and colleges have taken on the role of perpetuating this history through the education of jazz and promotion of the music. This week’s activities and seminar celebrated three historical Pittsburgh artists, the first of which was Mary Lou Williams. This year also marks the 100th birthday of late composer and pianist Billy Strayhorn, whom Strayhorn historian Bill Dogget, nephew to the legendary pianist of the same name, honored in his seminar on Wednesday. The week also celebrated Pittsburgh native Errol Garner’s legacy. The University recently received the entire Erroll Garner archive, and it has founded the Erroll Garner Jazz Project, which seeks to restore the jazz icon into the mainstream jazz canon and restore his historical significance. The project will work on integrating the archives into the Pitt library system and will make the archives available to scholars who wish to research Garner. They also uncovered previously unreleased recordings from Garner’s reputable “Concert by the Sea” album, which they have remastered and rereleased with the additional tracks. The seminar culminated on Saturday night at Carnegie Music Hall with a big band performance, but it was not the traditional eighteen-piece swing band one might expect. Nine jazz legends took the stage for a rare, masterful performance. The night started with an introduction from Allen, who then invited Pitt Chancellor Patrick Gallagher to the stage. “Jazz lives here at Pittsburgh,” said Gallagher, a statement the eager and excited audience answered with applause. Gallagher was followed by the evening’s emcees, celebrated poets and Pitt English professors whose works often take jazz as a subject and influence, Terrance Hayes and Yona Harvey. The two read the Proclamation from Allegheny County recognizing the 45th Annual University of Pittsburgh Jazz Seminar and Concert. Before they even started playing, the event’s award ceremony celebrated many musicians’ careers and musical achievements. Lawrence Simpson, a Pitt graduate and current Berklee College of Music faculty member, received the Kenneth P. Dietrich School of Arts and Sciences Distinguished Professional Achievement Award. Pitt sophomore trombonist Iyanna Boatwright-Buffaloe also won the $5,000 University of Pittsburgh-BNY Mellon Jazz Scholarship, and Sanders and Cobb shared the University of Pittsburgh Jazz Seminar and Concert Committee Lifetime Achievement Award honors. After the awards, the music finally began. The program featured original compositions from ballads to the blues, as well as standard jazz classics. “It felt more reminiscent of a relaxed coffee house environment,” said Ryan Matukaitis, a freshman biomedical engineering major who attended the performance. Hurst, a bassist, wrote one of the original compositions, “Optimism,” which he said he created during the first presidential campaign of Barack Obama. Hurst said Obama’s slogan, “Hope,” and promise of change inspired the piece. 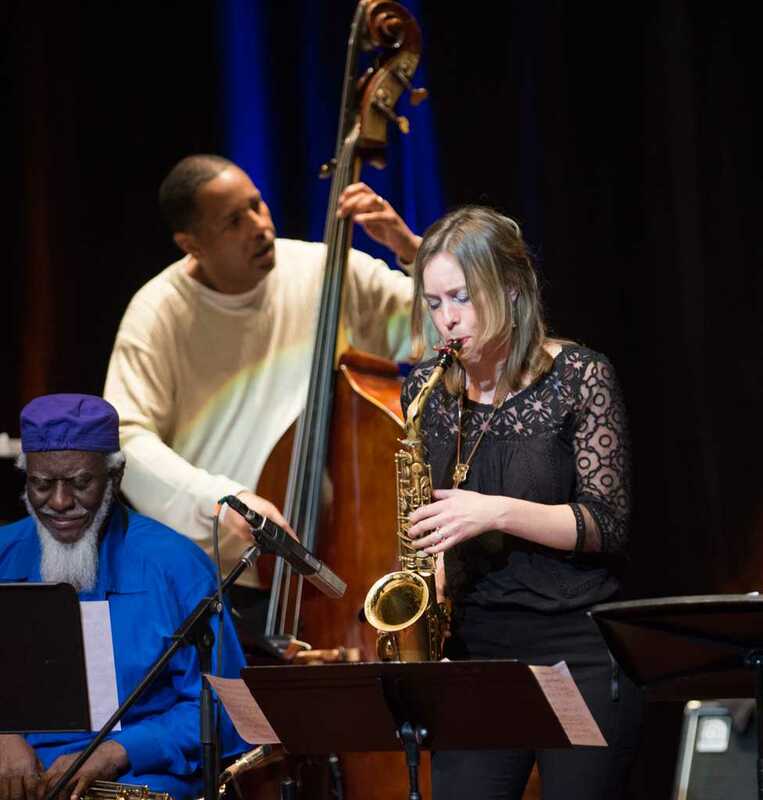 It featured Hurst on bass, Robin Eubanks on trombone and Tineke Postma on saxophone, whose solo was met with an uproar of applause from the audience, as well as from Sanders, a fellow saxophone player, who sat to her right. The group’s sound was reminiscent of the original “Kind of Blue” troup, which included Davis, John Coltrane, Cobb, Paul Chambers on bass, and pianist Wynton Kelly. At one point, Sanders refused the microphone and instead let the song speak for itself. He played a solo jazz ballad and filled the hall with the resonant sound of his tenor saxophone, prompting a standing ovation. The concert concluded with an Erroll Garner piece, in which all the musicians gathered on stage, each delivering captivating solos. Calling the jazz scene a product of Pittsburgh culture, Allen said she hopes the event continues to invoke pride in Pittsburgh’s jazz history throughout the community.